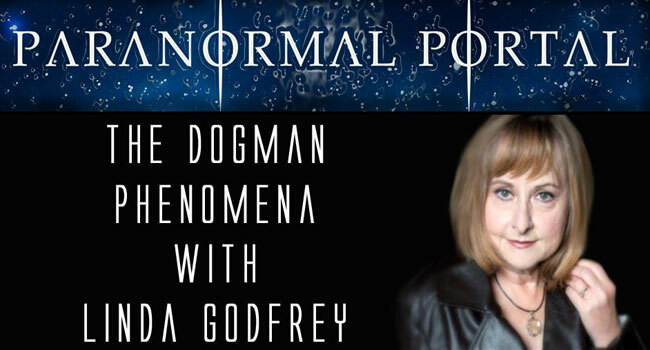 Author and paranormal investigator Linda Godfrey makes a guest appearance on the Paranormal Portal to talk about the Beast of Bray Road. Lee Hampel, whose experiences are included in Godfrey’s most recent book Monsters Among Us, also joins in as they discuss the numerous bizarre and ongoing occurrences on his property near Bray Rd. It turns out there is something far stranger than your average run of the mill dogman phenomena happening in Elkhorn. Godfrey and Hampel talk about some of the experiments they’ve been conducting in what Linda refers to as Lee’s “field of weirdness” including bad smells, canine paw prints that don’t match any known animal, and trail cam footage of coyotes being frightened by unexplained shafts of light. Of particular interest are the unexpected results of an attempt to track a deer carcass with an iphone. Listen to Linda and Lee talk about their strange experiences in Lee’s field right here.